Just because you want to remove your Wrangler's doors for off-roading doesn't mean you want to lose your mirrors, too. 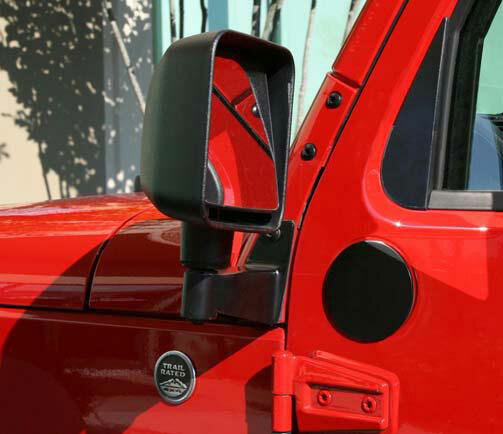 This mirror relocation kit (part number 102504RR) lets you move the mounting point of both stock mirrors from the doors to the vehicle's body so they stay on even when the doors don't. The kit is made by Mopar so you know it will fit right. Installation is simple and uses existing mounting holes, so no drilling is needed. The brackets are made of black powder coated steel for durability and steel filler plates for the doors are included. 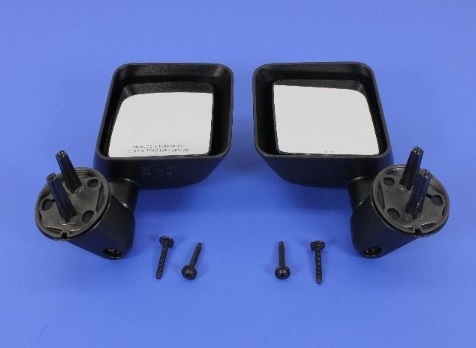 This kit will not work with power mirrors and will not provide full visibility if used when the doors are mounted.